Home / Tamil Nadu / how does Abirami is in the Poor Jail? how does Abirami is in the Poor Jail? Abirami, who killed poisoned children with love for love, has been reported to be in touch with anyone in the Poor prison. Vijay (30) was from Kudurthur Third Command area near Chennai. He is the main driver of the private bank and has the wife Abirami (25), son of Ajay and a baby girl named Carnika. Vijay was unable to stay home last Friday due to work. He returned home early the next morning and his two children were shaken by the foam in the mouth. Following this, the police came to the spot and sent the children's bodies and sent them to anatomy. 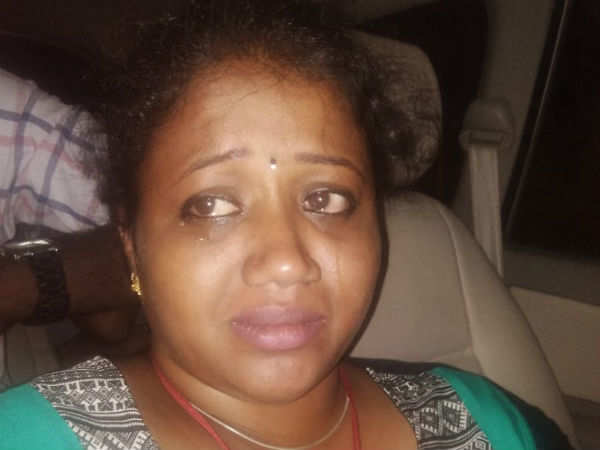 In the first hearing, the mother had discovered that she had a romance with Sundararam, who works in the Abirami Priyani garage, and that her husband and wife had a recent problem. Following this, Abhirami was found killing a child for his love. Following this, the police arrested both Aframi and Sundaram.